Brick and mortar shopping pales in comparison to the internet as a platform for comparing prices, reading reviews and general browsing. 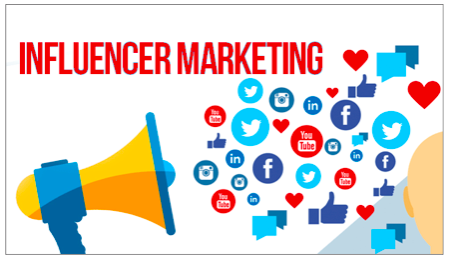 It is said that Google owns 78% of the search engine market share, so it only follows that Google’s AdWords search and display advertising platform offers a marketing opportunity you wouldn’t want to miss. Google recently launched a new and improved AdWords experience. 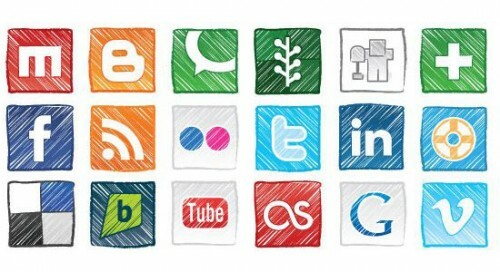 For most users the new interface will be quite different. It is the first re-design since 2008 and offers a handful of new features that aim to put data points that are important to the advertiser’s business at the forefront of the experience. 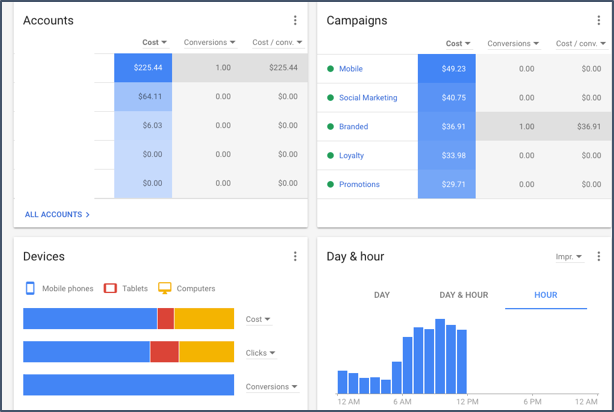 The new Google AdWords experience begins with an Overview page. The look is sleek and employs color and graphics to highlight curated performance insights about the account, campaigns and ad groups. 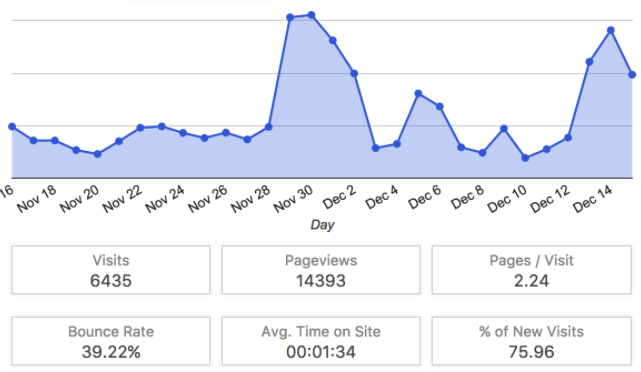 The main dashboard displays information as “cards” that act as separate snapshots of your account, including campaigns, keywords, devices and day and hour. 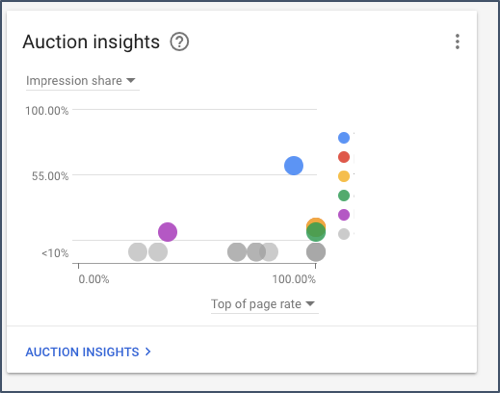 The cards on the dashboard (and the data shown) can be customized using built-in drop downs in order to give you an easy-to-read snapshot of your AdWords performance data for quick reference. Easier bid adjustments allow you to quickly and easily raise bids to make up for/or improve your performance based on campaign impression share. Showcased Shopping ads allows you to group related products and present them together as a way to garner interest in your brand or business. 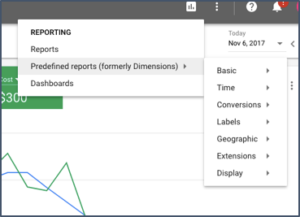 Adding third-party app analytics platform data allows you to link your account to third-party app analytics platforms, and import your data to AdWords to track and measure your mobile app conversions. Promotion extensions allow you to show and link to a specific offer in text ads. Some of the new AdWords features signal changes in the way Google wants users to identify or think about data. Other changes are steering users in a way that makes data sorting easier – and easier to digest. The Dimensions tab report is now called “Predefined Reports” and available from the reporting icon in your account settings. The display planner is retired, though you can still see some features while you are creating Display campaigns. “Total Conversion Value” is now called “Conversion Value”. Auction Insights have been moved to the “More” menu along the top of the Campaigns, Ad groups, and Keywords pages and has a scatter graph for visuals. Settings or the gear icon feature is now a 3-dot icon at the upper right of the dashboard. 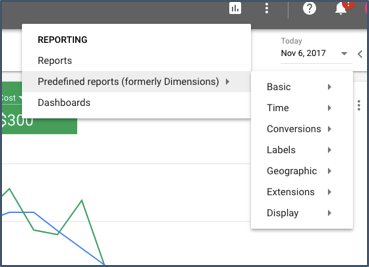 Some of these changes have been made to align with other Google products, such as Google Analytics, Tag Manager and Search Console, to give users a more cohesive experience across all data reporting channels. Another standout feature of the new AdWords dashboard is the prominently displayed Opportunities tab. 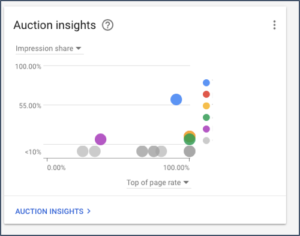 The new AdWords dashboard view is clearly aimed at trying to improve campaign performance with just a few clicks of a button. In our experience, this allows Google to enable advertisers to increase budgets, bids which may not have a positive effect on campaign performance. 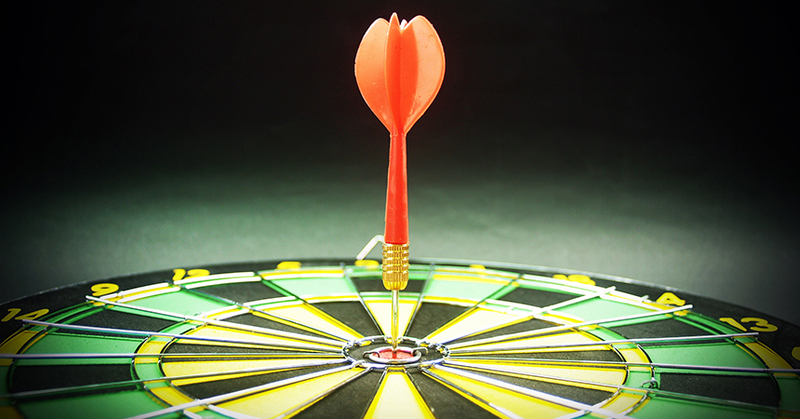 One example is the continued insistence by Google to add new keywords to your campaigns. These keywords are often vague, semi-related keywords that are at the very top of an advertisers marketing funnel. 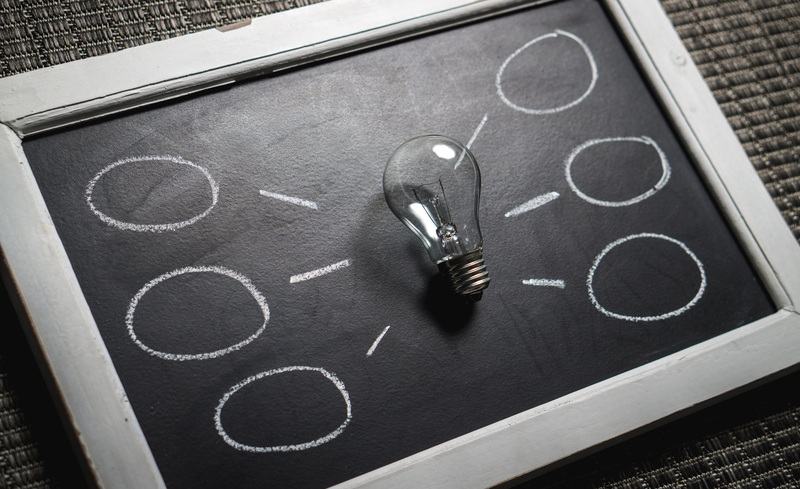 Bottom line, use care with the Google AdWords Opportunities tab… carefully weigh the benefits to you as an advertiser and make the decision that best suits your marketing goals. 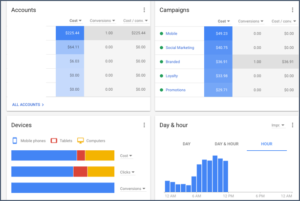 There is no question that the new AdWords interface is cleaner, more streamlined and improves multi-platform performance. However, if you aren’t ready to wrap your head around a new navigation system, you can return to the previous AdWords experience with the click of a button. For reference, documentation on the new interface is available on the Google AdWords support page. If you have questions about getting started in AdWords, or need expert help in optimizing your AdWords search, display or shopping campaigns, contact Kona Company. Our AdWords experts can help grow your business today.